Edward MacDowell - An American Master. Alan H. Levy. Rowman & Littlefield. 1999. ISBN 0810834634 (hardcover). Edward MacDowell was one of the finest composers of nineteenth-century America. In his lifetime, MacDowell's fame was widespread throughout Europe and the United States; his music was praised by none other than Franz Liszt, Jules Massenet, and Edvard Grieg. While his fame was extensive, MacDowell's place in music began to fade after his untimely and tragic death in 1908, and his music and reputation has since suffered a certain neglect. 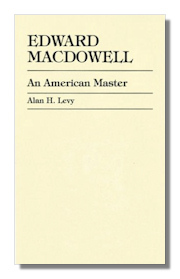 Alan Levy's biography is the first full-length work on MacDowell and draws extensively on personal papers and letters, largely closed from public access until recently. Levy challenges the omission of MacDowell from most musical histories and returns the spotlight to this long-overlooked composer. Levy covers MacDowell's early life and schooling in New York, his musical studies in France and Germany, and his emergence as a keyboard artist and composer. From there, the biography moves on to MacDowell's successful career in Boston and in Peterboro, New Hampshire. Levy concludes with MacDowell's tenure as the first Professor of Music at Columbia University and his untimely decline and death. There is also discussion of Marian MacDowell's successful establishment of the MacDowell Colony for Artists, which continues to the present day. Alan Levy elegantly captures the story of this composer who enjoyed musical talent and relative popular success during his lifetime. He brings together a great deal of otherwise inaccessible information and material on a somewhat muted voice in American Music History. Edward MacDowell, A Study. Lawrence Gilman. Reprint Services. 1909. ISBN 0781290724 (hardcover). 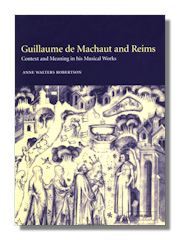 Guillaume de Machaut and Reims: Context and Meaning in his Musical Works. Anne Walters Robertson. Cambridge University Press. 2007. ISBN 0521418763 (hardcover), 0521036089 (paperback). Guillaume De Machaut: A Guide to Research (Garland Reference Library of the Humanities, Vol 996), Lawrence Earp. Routledge (formerly Garland Pres). 1995. ISBN 0824023234 (hardcover). This book provides an overview of the current state of research on Machaut, the major figure of 14th-century French music and poetry, giving fair representation to the many areas of Machaut research that are pursued in fields outside music. Coverage of the current state of knowledge on each of the manuscripts includes the newly discovered Aberystwyth manuscript, described in detail here for the first time. A section on the large narrative poems pulls together recent research of several scholars and offers new views. An up-to-date concordance of the miniatures in all of the illustrated Machaut manuscripts gives information on where published studies and facsimiles may be found. The discography is the most complete list of Machaut recordings yet compiled and provides critical evaluations of recordings most valuable for instruction, according to our latest conception of performance practice in the 14th-century. A biography section organizes the documentary material in a way that will facilitate further research. The bibliography of secondary works cites books, editions, articles, and dissertations (including forthcoming works) from 1740 to 1991, in French, English, the other western European languages, Polish, Russian, and Japanese. The volume is fully indexed. Guillaume De Machaut. Siegmund Levarie. Da Capo Press. 1969. ISBN 0306718316 (hardcover). title. author. publisher. year. ISBN xxxxxxxxxx (hardcover), xxxxxxxxxx (paperback). Gustav Mahler: The Symphonies. Constantin Floros, et al. Amadeus Press. 1997. ISBN 1574670255 (paperback). Translated by Vernon and Jutta Wicker. Gustav Mahler: An Introduction to His Music. Deryck Cooke. Cambridge University Press. 1988. ISBN 0521231752 (hardcover), 0521298474 (paperback). Originally published by Faber and Faber, this new edition is a one-volume study of Mahler by one of his most learned and enthusiastic devotees. Following Cooke's death, the manuscript was prepared by Colin and David Matthews who updated the text, taking into account recent Mahler research, and incorporating Cooke's later writings on Mahler. Gustav Mahler, Volume 1: The Early Years. Donald Mitchell, Paul Banks (Editor). University of California Press. 1980. ISBN 0520041410 (hardcover), 0520202147 (paperback). Donald Mitchell's famous study of the composer's early life and music was greeted as a major advance on its first appearance in 1958. 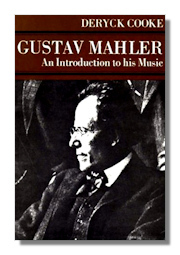 Revised and updated in the early 1980s, this paperback edition includes a new introduction by the author to bring this classic work once again to the forefront of Mahler studies. From his birth in Bohemia, then part of the mighty Austro-Hungarian empire, to a survey of his early works, many now lost, Gustav Mahler: The Early Years forms an indispensable prelude to the period of the great compositions. The conflicts which came to mark Mahler's music and personality had their beginnings in his childhood and youth. Without understanding the territorial, social and familial conflicts of this time one cannot truly appreciate the impulses behind the major symphonies and song cycles of his later years. Gustav Mahler, Volume 2: The Wunderhorn Years. Donald Mitchell. University of California Press. 1982. ISBN 0520042204 (paperback). 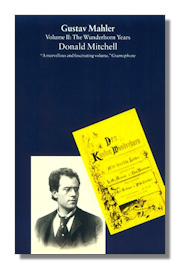 Donald Mitchell's second book on the life and work of Gustav Mahler focuses principally on Mahler's first settings of Wunderhorn texts, volumes I and II of the Lieder und Gesaenge, his first song-cycle, the Lieder eines fahrendedn Gesellen, the later, orchestral settings of Wunderhorn poems. The central section of the book explores the extraordinary and often eccentric chronology of the First, Second and Third Symphonies' composition, an often minute exploration which reveals the interpenetration of song and symphony in this period of Mahler's art, emphasizes the significance for these works of imagery drawn from the Wunderhorn anthology, and calls attention to the ambiguous position ocupied by much of Mahler's music at this time, suspended as it was between the rival claims - and forms - of syphony and symphonic poem. The final section of the book not only looks at the Fourth Symphony as the final, perhaps most perfect, flowering of Mahler's Wunderhorn symphonies, but also investigates such fascinating topics as the relationship between Mahler and Berlioz, Mahler's addiction to the E flat clarinet, and the influence of Bach on Mahler's later masterpieces. 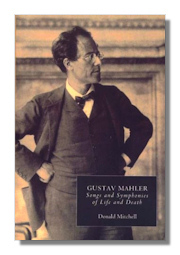 Gustav Mahler, Volume 3: Songs and Symphonies of Life and Death. Donald Mitchell. University of California Press. 1985. ISBN 0520055780 (hardcover), 0851159087 (paperback). A monument in Mahler studies, this volume concentrates on the composer's vocal music and, in particular, on some of his most famous, most original and best loved compositions: the late Rueckert orchestral songs and Kindertotenlieder; Das Lied von der Erde, one of the composer's supreme masterpieces, and the vast Eighth Symphony. Much new ground is broken but the author bases his conclusions on a meticulous examination of the principal manuscript sources, especially those for Das Lied. He offers an unprecedented exploration of the original Chinese texts for that work and indeed of the whole Oriental dimension of Mahler's last and greatest song-cycle. Time and time again, the composer's sketches back up the author's reading of these massive scores and there will be few among this book's readers who will not find a familiar passage or movement sharply illuminated by fresh insights and information. The scope of the book, despite its concentration, is immensely wide; and so is the readership it addresses: Mahler scholars, performers, and general readers. Mahler, Volume 1 - 1860-1902 by Henry-Louis de La Grange. Anchor (formerly Doubleday). 1973. ISBN 0385005245 (paperback). 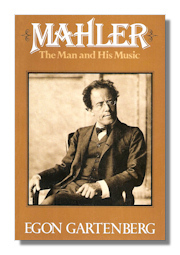 This is the first of the exhaustive, massive biography of Mahler. This volume is out of print but well worth the search. There are four volumes in the complete edition. 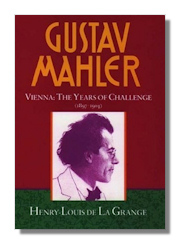 Gustav Mahler, Volume 2 - Vienna: The Years of Challenge, 1897-1904. Henry-Louis de la Grange. Oxford University Press. 1995. ISBN 0193151596 (hardcover). This is volume two of the complete four-volume set. In an age of artistic accomplishment, Gustav Mahler stood out as one of the supremely gifted musicians of his generation. As a composer, he won acclaim for his startling originality. As a conductor, his relentless pursuit of perfection was sometimes seen as tyrannical by the singers and musicians who came under his baton. And always, even with his greatest triumphs, he provoked controversy among the critics. Now Henry-Louis de La Grange, Mahler's celebrated biographer, offers new insight into Mahler's life and work with his latest look at the career of this musical genius. In Mahler in Vienna, La Grange follows the great musician to the intellectual and artistic capital of turn-of-the-century Europe. From Mahler's spectacular debut as director of the Vienna Court Opera to his triumphant tour of the continent, we see him at the height of his powers. La Grange vividly portrays the marvelous spectacle, including the extraordinary range of artists who worked with Mahler – the composers Dvořák, Gustave Charpentier, Richard Strauss, Zemlinsky, and Schoenberg; the painters, architects, and decorators of the Secession (led by Klimt); and the writers Hauptmann, Dehmel, Hofmannsthal, and Schnitzler. In Vienna, the conductor worked a revolution in standards of performance and (along with Secession painter Alfred Roller) scenic illustration. It was also during this period that he wrote some of his best-loved symphonies – including his Fourth and Fifth – and his three orchestral song-cycles and collections, the Wunderhorn-, Ruckert-, and Kindertotenlieder. For each of these works La Grange provides full notes and analytic descriptions. And the author does not neglect Mahler's temptestuous personal life, for during these years he met Alma Schindler – "the most beautiful woman in Vienna." La Grange deftly captures the story of their engagement and marriage in 1902. Mahler remains one of the greatest figures in the history f music, a man whose work provokes strong reactions today as in his own time. 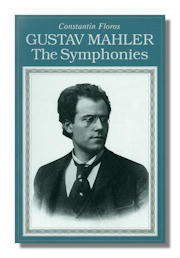 This definitive four-volume biography Gustav Mahler, the result of a thirty-year research project; the author has personally translated it from his original French into English. Scrupulously researched and insightfully written, this volume is a brilliant account of a critical epoch in Mahler's life. 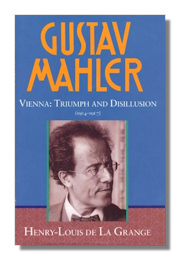 Gustav Mahler, Volume 3 - Vienna: Triumph and Disillusion, 1904-1907. Henry-Louis de la Grange. Oxford University Press. 2000. ISBN 019315160X (hardcover). Ranging from 1904 to 1907, this volume explores Mahler's final years as administrator, producer, and conductor of the Vienna Opera. It was a time of intense inner struggle, with Mahler's energy and creative powers drained by the competing demands of running the Hofoper and struggling for recognition as a composer. And they were tragic years as well, especially 1907, Mahler's last year in Vienna, when the death of his daughter and the diagnosis of heart disease forced him to leave the Opera. Throughout the book, De La Grange offers true-to-life portraits of Mahler the human being, the family man, and the composer, and he weaves in innumerable testimonies and anecdotes that throw new light on the great composer's complex personality. Gustav Mahler, Volume 4 - A New Life Cut Short, 1907-1911. Henry-Louis de la Grange. Oxford University Press. 2008. ISBN 0198163878 (hardcover). The fourth volume illuminates the composer's American period, when he was conductor for the Metropolitan Opera in New York. It contains a treasure trove of new material, in particular many unknown letters from Alma Mahler to her lover, Walter Gropius, and many articles and interviews about the composer and the performances he conducted while in New York. This detailed biography of the composer also includes new and valuable insights into the final year of his life, when he returned to Europe to die. The crowning point of a decades-long project, during which the author has personally translated each volume from his original French into English, this scrupulously researched and insightfully written biography brings to a triumphant close the definitive account of Mahler's life and work. Mahler: The Man and His Music. Egon Gartenberg. Macmillan Publishers. 1978. ISBN 0028708407 (hardcover), 0028715403 (paperback). Mahler. Michael Kennedy. Schirmer Books. 1991. ISBN 0028713672 (paperback). Originally published as part of the Master Musicians Series edited by Stanley Sadie. Good brief musical biography and introduction to the complete works of Mahler. Excellent appendices. In this revised edition, Michael Kennedy has drawn on new documentary evidence which has enabled him to give a much fuller account of Mahler's childhood and youth, and of his years as an opera conductor in Cassel, Prague, Leipzig, Budapest, Hamburg, and Vienna. All Mahler's works are discussed, and the latest research on the Eighth Symphony and Das Lied von der Erde has been incorporated. Gustav Mahler. Bruno Walter, translated by Lotte Walter Lindt. Quartet Books. 1958. ISBN B003AJ0A4Y (hardcover), 0704301199 (paperback). Important short memoir written by the conductor who knew and admired Mahler. Introduciton by Michael Tanner. Mahler: A Musical Physiognomy. Theodor W. Adorno. University Of Chicago Press . 1992/1996. ISBN 0226007685 (hardcover), 0226007693 (paperback). This book goes beyond conventional thematic analysis to gain a more complete understanding of Mahler's music through his character, his social and philosophical background, and his moment in musical history. Adorno examines the composer's works as a continuous and unified development that began with his childhood response to the marches and folk tunes of his native Bohemia. Since its appearance in 1960 in German, Mahler has established itself as a classic of musical interpretation. Now available in English, the work is presented here in a translation that captures the stylistic brilliance of the original. Martinů. Brian Large. Holmes & Meier Publishing. 1976. ISBN 0841902569 (hardcover). Pietro Mascagni and His Operas. Alan Mallach. Northeastern. 2002. ISBN 1555535240 (hardcover). Pietro Mascagni (1863-1945) was a dazzling and influential figure in Italian opera during the late nineteenth- and early twentieth-centuries. Just twenty-six when the electrifying premiere of his Cavalleria Rusticana at the Teatro Costanzi in Rome catapulted the impoverished musician into sudden fame and fortune, Mascagni went on to write fifteen more operas, including L'Amico Fritz, Guglielmo Ratcliff, Iris, Parisina, and Il Piccolo Marat. As composer, conductor, teacher, lecturer, and writer, Mascagni was also intensely engaged in every aspect of Italian musical culture for over fifty years. 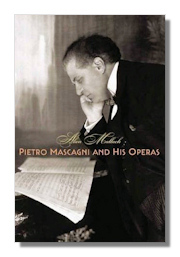 This first in-depth and objective biography of Mascagni charts the course of his intriguing life and career. With privileged access to extensive primary sources, including Mascagni's 4,200 letters to Anna Lolli, his mistress for more than three decades, Alan Mallach provides a compelling portrait of a flamboyant, combative, and emotional man who was passionately devoted to the Italian opera tradition and committed to innovation in musical language and dramatic form. Deftly combining serious biography with critical commentary, Mallach begins with the captivating story of Mascagni's rags-to-riches adventure, from his birth in Livorno in Tuscany, to his musical studies first with Alfredo Soffredini and later at the Milan Conservatory, to his years as a vagabond musician, to the worldwide success of his breakthrough opera. He then traces Mascagni's private and professional life after Cavalleria, examining a prolific yet controversial career that was forever overshadowed by the work that unexpectedly thrust him into the limelight. Mallach provides a full analysis of Mascagni's oeuvre and discusses his complex relationships with such Italian cultural and political figures as Edoardo Sonzogno, Giacomo Puccini, Gabriele D'Annunzio, Luigi Illica, and Benito Mussolini. He also thoroughly chronicles Mascagni's bouts with manic depression, his marriage to Lina and devotion to their three children, his grueling schedule of concert and operatic tours, his patriotism and bitter opposition to Italy's involvement in both world wars, and his passionate love affair with Anna Lolli. Read the Classical Net Review of this book. Pietro Mascagni - A Bio-Bibliography. Roger Flury. Greenwood Publishing. 2000. ISBN 0313296626 (hardcover). Bringing together a vast amount of information on Pietro Mascagni and his works, this volume in the Greenwood Press series Bio-Bibliographies in Music includes a catalogue of the composer's works and performances, bibliography, discography, and brief biographical sketch. Mascagni is best known for Cavalleria Rusticana, but he wrote fifteen other stage works and over 100 other compositions, including sacred music, songs and film scores. Overshadowed by his contemporary Puccini and tainted by association with the fascist regime of Mussolini, Mascagni is both a famous and neglected opera composer. This volume charts the decline in performances of Mascagni's operas other than Cavalleria Rusticana and reveals a growing interest in and changing attitude toward the composer. The discography includes more than 2,500 recordings, and the annotated bibliography includes 361 titles. Massenet: A Chronicle of His Life and Times. Demar Irvine. Amadeus Press. 1994. ISBN 0931340632 (hardcover), 1574670247 (paperback). Massenet. James Harding. Da Capo Press. 1987. ISBN 0306797135 (hardcover). Nicolas Medtner - His Life and Music. Barrie Martyn. Scolar Press. 1995. ISBN 0859679594 (hardcover). A study of the career, and examination of the works, of this much-neglected Russian pianist, composer, and contemporary of Rachmaninoff. His compositions include 3 piano concertos, more than 100 solo piano compositions, including a cycle of 14 piano sonatas, and numerous songs. The present work tells the story of his life and addresses each of his compositions. Included are over 130 musical examples and 16 pages of photographs. Mendelssohn and His World. R. Larry Todd (Editor). Princeton University Press. 1991. ISBN 0691027153 (paperback). Mendelssohn. Philip Radcliffe. Books Britain. 1978. ISBN 0460860291 (paperback). This is part of the Master Musicians series, originally published by Dent in 1954. Like its companion books, it is a fine introduction to the life and works of this composer. The appendices feature a calendar, complete catalog of works, personalia and bibliography. Mendelssohn - The Caged Spirit. Mary Allerton-North. Prestige Press. 2008. ISBN 1843751305 (paperback). Although much has been written about Felix Mendelssohn over the past 150 years, biographers have tended to regurgitate earlier narratives, which have incorporated myths, misrepresentations and even falsehoods about his family. 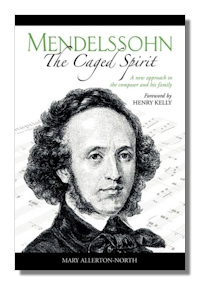 Thus, the word "unique" can be truthfully applied to Mendelssohn – The Caged Spirit. Not only is this the first Mendelssohn biography to be written by a woman psychotherapist (rather than from the usual male musicologist's standpoint), but Mary Allerton-North does not take statements hitherto "set in stone" at face value. She challenges such inaccuracies for the first time, analysing what actually happened in the Mendelssohn chronicle, with regard to both his musical and his personal life. Mendelssohn was in many ways complex and in many ways very simple. He was complex because of his family background: he was born into a wealthy German Jewish family at the beginning of the 19th century and by the age of seven was playing the piano, painting, writing poetry, speaking several languages and starring as a precocious athlete. He helped revive Bach's music in Europe, he knew Goethe and although the poet was seventy and Mendelssohn only twelve when they met, they became friends. Reminiscences of Felix Mendelssohn-Bartholdy A Social and Artistic Biography. Elise Polko translated by Lady Wallace. Glenbridge. 1990. ISBN 0944435017 (paperback). Fascinating book originally published in 1869 by a contemporary of Mendelssohn (one of his voice students) who became a popular novelist. Personal stories peopled with the famous personalities of the day, from Jenny Lind to Joachim. Letters from Italy and Switzerland. Felix Mendelssohn, Lady Wallace. Ayer Co. 1970. ISBN 0836952715 (paperback). Reprint of the 1865 collection, written by the very youthful Mendelssohn. There are musical sketches and anecdotes in these fascinating letters to his family and friends. Felix Mendelssohn A Life In Letters. Rudolf Elvers (Editor), Craig Tomlinson (translator). Fromm. 1986. ISBN 088064060X (paperback). A wider selection of letters from this gifted composer and writer. Illustrated with the composer's own watercolors and sketches. The Messiaen Companion. Peter Hill (Editor). Amadeus Press. 1995. ISBN 0931340942 (paperback). Olivier Messiaen - Music and Color: Conversations With Claude Samuel. Olivier Messiaen, et al. Amadeus Press. 1994. ISBN 0931340675 (hardcover). Olivier Messiaen and the Music of Time. Paul Griffiths. Cornell University Press. 1985. ISBN 0801418135 (paperback). Notes Without Music: An Autobiography. Darius Milhaud. Da Capo Press. 1970. ISBN 0306715651 (hardcover). My Happy Life - An Autobiography. Darius Milhaud, with Christopher Palmer (illustrator), Donald Evans (translator). 1994. ISBN 0714529575 (paperback). Milhaud is modest when it comes to writing about his life. His memoirs contain touching accounts of his close friends, memories of his various travels, and brief descriptions of the genesis and presentation of his music. The translator provides an biographical summary of Milhaud's life in the introduction. Darius Milhaud - Modality & Structure in Music of the 1920s. Deborah Mawer. Scolar Press. 1997. ISBN 1859282490 (hardcover). Priest of Music: The Life of Dimitri Mitropoulos. William R. Trotter. Amadeus Press. October 1995. ISBN 0931340810 (hardcover). An ascetic and a mystic who sought to be a monk early in life, Mitropoulos chose music, however, and became one of the greatest conductors of his era. After his death in 1960, Mitropoulos went into eclipse. William Trotter's book puts him back in the spotlight where he belongs. It discusses Mitropoulos' youth in Greece and his move to Minnesota, where the Greek maestro became music director of the Minneapolis Symphony Orchestra. Trotter discusses Mitropoulos' troubled relationship with the young Leonard Bernstein, particularly his steering of the younger man to conducting and away from piano playing. 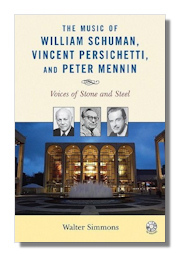 The author also brings to light Mitropoulos' tenure as music director of the New York Philharmonic Orchestra and Bernstein's role in the cabal that unseated him. The work discusses aspects of Mitropoulos's temperament that stand out, such as his vegetarianism and his homosexuality. 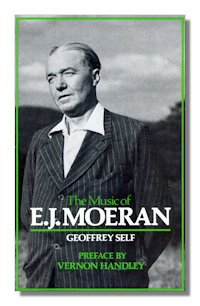 In this first-ever study of the music of Ernst J. Moeran, the author examines all of Moeran's output, setting his analysis in a biographical framework. Monteverdi and the End of the Renaissance. University of California Press. 1990. ISBN 0520053486 (paperback). The Letters of Claudio Monteverdi. Claudio Monteverdi, with Denis Stevens (Editor). Cambridge University Press. ISBN 052123591X (hardcover). Monteverdi. Paolo Fabbri, with Tim Carter (translator). Cambridge University Press. 1994. ISBN 0521351332 (hardcover). Monteverdi. Denis Arnold, with Tim Carter. Oxford University Press. 2000. ISBN 0198164653 (paperback). Monteverdi in Venice. Denis Stevens. Fairleigh Dickinson University Press. 2001. ISBN 0838638791 (hardcover). Musorgsky: Eight Essays and an Epilogue. Richard Taruskin and Caryl Emerson. Princeton University Press. 1993. ISBN 0691091471 (hardcover), 0691016232 (paperback). Musorgsky Remembered (Russian Music Studies), Alexandra Orlova (Editor), et al. Indiana University Press. 1991. ISBN 0253342643 (hardcover). 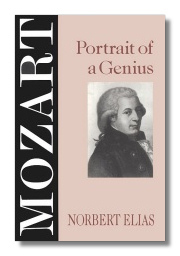 Mozart: Portrait of a Genius. Norbert Elias, et al. University of California Press. 1993. ISBN 0520084756 (hardcover); 0745614108 (paperback). Constanze Mozart: After the Requiem. Heinz Gartner, Reinhard G. Pauly (Translator). Amadeus Press. 1991. ISBN 093134039X (hardcover). Mozart and Masonry (Da Capo Press Music Reprint Series), Paul Nettl. Da Capo Press. 1970. ISBN 0306719223 (hardcover). Mozart Pilgrimage. Vincent and Mary Novello. Da Capo Press. 1982. ISBN 0903873109 (paperback). Mozart the Dramatist: The Value of His Operas to Him, to His Age and to Us. Brigid Brophy. Da Capo Press. 1990. ISBN 0306803895 (paperback). Mozart and Haydn in London. Carl Ferdinand Pohl. Da Capo Press. 1970. ISBN 0306700247 (hardcover). The Mozart Essays. H.C. Robbins Landon. Thames & Hudson. 1995. ISBN 0500016534 (hardcover). 1791: Mozart's Last Year. H.C. Robbins Landon. Thames & Hudson. 1995. ISBN 0028725921 (hardcover); 0500281076 (paperback). It was to be a year in which he wrote The Magic Flute, La Clemenza di Tito, and the Clarinet Concerto, as well as most of the Requiem; it was also a year of mounting disappointment in his career as part of the Viennese musical establishment, and a year of growing debt. 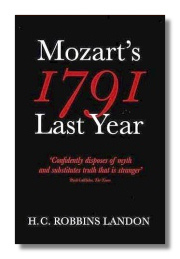 Robbins Landon is keen to debunk the myths: Mozart was not poisoned, but died of progressive kidney failure, and Salieri was innocent of his death, though not of promoting his own career at Mozart's expense. Mozart: The Man, the Musician. Arthur Hutchings. Macmillan Publishers. 1976. ISBN 0028711408 (paperback). Amadeus: A Mozart Mosaic. Herbert Kupferberg. McGraw-Hill. 1986. ISBN 0070356645 (paperback). The Creative World of Mozart. Paul Henry Lang (Editor). W.W. Norton & Company. 1991. ISBN 0393002187 (paperback). Mozart and the Enlightenment: Truth, Virtue and Beauty in Mozart's Operas. Nicholas Till. W.W. Norton & Company. 1996. ISBN 0393313956 (paperback). Mozart: His Character, His Work. Alfred Einstein. Oxford University Press. 1991. ISBN 0195007328 (paperback). The Mozart Family: Four Lives in a Social Context. Ruth Halliwell. Oxford University Press. 1998. ISBN 0198163711 (hardcover). The New Grove Mozart. Stanley Sadie. W.W.Norton and Co. 1985. ISBN 0393300846 (paperback). This book, like the other books in the Grove Composer Biography Series, presents a biography with most of the emphasis on the compositions. There is a complete listing of works at the end of the book, and a huge bibliography. Mozart. Wolfgang Hildesheimer, Translated by Marion Faber. Farrar Straus & Giroux/Noonday Press. 1983. ISBN 0374214832 (hardcover); 0394715918 (paperback). Beautifully written biography, Removes some of the myths from the man. Excellent vivid and non-technical discussion of Mozart's compositions, especially the operas. Letters of Mozart. Hans Mersmann (Editor), M. M. Bozman (translator). Dorset Press. 1986. ISBN 0880290870 (paperback). Most of the letters were written to his father, sister and wife. Contains brief biographical chronology, a good index and helpful footnotes. 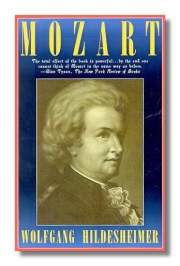 Mozartiana; Two Centuries of Notes, Quotes, and Anecdotes about Wolfgang Amadeus Mozart. Joseph Solman (designer). Vintage Books. 1990. ISBN 0394584457 (hardcover).